On November 29, 2018, Hillside Licensing LLC filed a patent infringement lawsuit against Valve Corp. 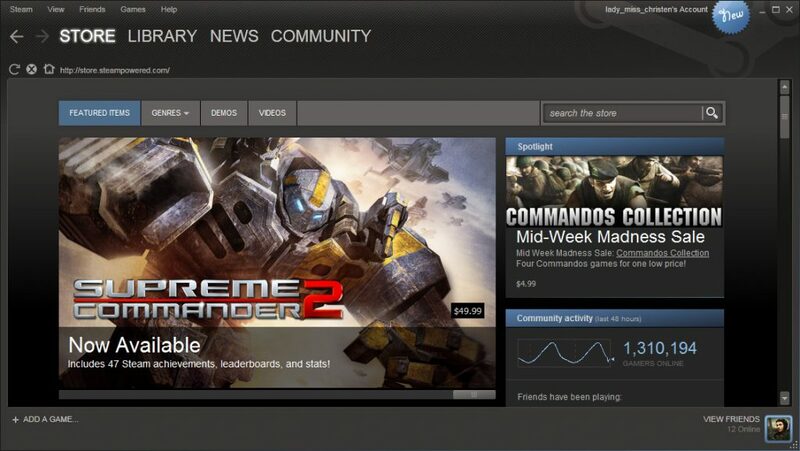 The complaint alleges Valve infringed U.S. Patent No. 7,827,236 (the ‘236 Patent) by offering playable game demos on Steam. The ‘236 Patent generally relates to the transmission of incomplete or corrupted digital media. (c) delivering the second series of time frames to one or more users, the second series of time frames capable of being used in conjunction with the first series of time frames to form a version of the digital media file which is complete and uncorrupted, in which access to the second series of time frames is only granted to users satisfying defined access control criteria, wherein the second series of time frames is transmitted separately from the first series of time frames in response to a user request. (‘236 patent, col. 5, line 39-59). According to the complaint, Valve has infringed the ‘236 Patent by offering free game demos which will save the player’s progress so they will not need to restart should the player decide to purchase the full game. One common defense Valve might look to employ is to argue that the claims are directed to patent-ineligible subject matter. Since the Supreme Court decided Alice, many patents related to software get attacked as directed to abstract ideas under section 101. We will continue to follow this case and provide updates when available.